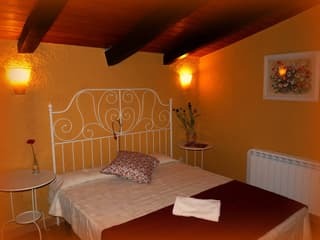 In the heart of the natural park of the volcanic zone of Garrotxa, is the accommodation Can Janot. Romantic and quiet where you can forget everything and enjoy nature. Go to Vic by the C-17 (Parets del Vallés- Vic-Puigcerdà). After Vic, continue on the C-37 until exit 69: Olot- Torelló-sud i Manlleu (exit on the left of the highway). At the exit of the tunnels, you will find a roundabout. Turn left towards Olot-Les Preses. At the entrance of Olot, the second roundabout you will find (metal monument similar to large scales), first exit on the right: all directions (Vial Sant Jordi). Continue along this avenue, following the traffic and you will pass several small roundabouts. 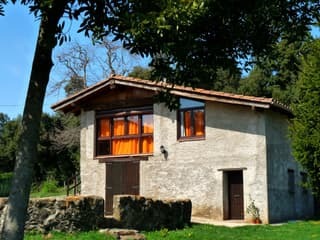 Located in the heart of the Natural Park Volcanic Zone of La Garrotxa , facing major volcanoes and stunning forests Fageda d’en Jordà. 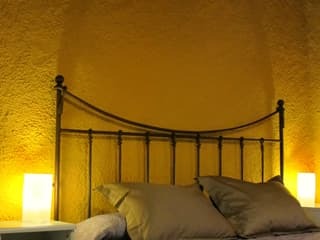 Good access and only 6 Km from the center of Olot. Ideal to relax and enjoy the tranquility and the views. Private garden, garden furniture, barbecue, parking and ping pong. Hiking and mountain biking routes are right next to the house. 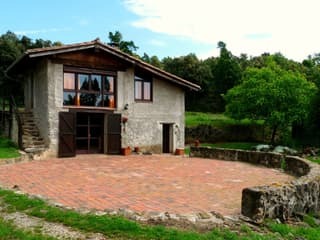 The Cottage Can Janot, is in Batet mountain, from where you can enjoy panoramic views of the volcanoes, Olot and the Pyrenees. Very close to the house, make balloon flights, a fantastic spectacle that fly over the 40 volcanic cone, which have in the park. Relax and comfort are guaranteed. 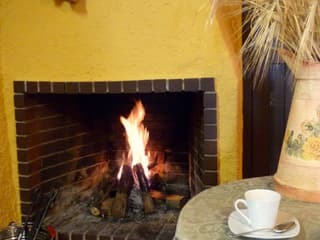 You can enjoy the nature, a cosy atmosphere. Can Janot is within Garrotxa Volcanic Zone Natural Park and next to the Natural Alta Garrotxa. But soon also allows access to both the ski slopes at the Costa Brava, Olot, Figueres, Banyoles, Girona ... Perfect location. Do not forget volcanic cuisine is gaining prestige in recent years. Proof of this is the recognition of three restaurants with Michelin stars. Do not miss the traditional cuisine of the area: the volcanic cuisine with typical local products and prices. 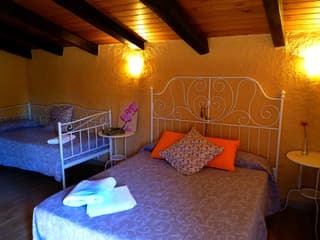 The price is from 23 €	per night per person.